Health Management Company of America (HMCA), majority-owned by FONAR Corporation, provides non-medical management services for diagnostic imaging centers. At present, HMCA employs approximately 300 full-time employees and manages 26 centers in New York and Florida. The 26 centers are collectively equipped with 34 MRI scanners, most of them with FONAR Stand-Up® MRIs. 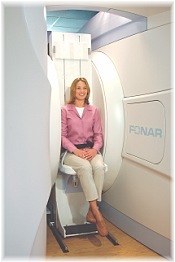 (The FONAR Stand-Up® MRI is also known as the UPRIGHT® Multi-Position™ MRI). Several Stand-Up® MRI centers also offer complementary diagnostic equipment, such as High-Field 1.5T MRIs, 3.0T Whole-Body MRIs, 1.5T Extremity MRIs, and X-ray. For MRI diagnostic Imaging centers interested in outsourcing the management of the non-medical aspects of their practices, HMCA may be their solution. By engaging HMCA, physicians/radiologists can spend more time and energy focusing on the medical side of their practices rather than contending with certain administrative tasks that they may find mundane or simply prefer not to deal with. HMCA has the staff, expertise, organization, experience and tools necessary to assume the responsibility of all non-medical services, including facility staffing, radiology support, billing and collections, credentialing and contracting, human resources, marketing, compliance, purchasing, accounting, office management, reporting, transcription, and IT. Besides relieving physicians of the unwanted managerial burdens, practices stand to benefit from HMCA´s strengths in other ways, including improved operational efficiency at the offices; cost savings attributable to economies of scale, high-volume purchasing discounts, national accounts, and participation with GPO´s; long-standing working relationships with many health care organizations and payors; proven marketing strategies; and access to state-of-the-art equipment, systems and software solutions — each with the very real potential of improving profitability. It is important to point out that HMCA, in full recognition and support of physician autonomy, has neither input nor any responsibility regarding medical matters. HMCA specializes in the management of diagnostic imaging centers that feature the FONAR Stand-Up® MRI with POSITION® Imaging, also known as the FONAR UPRIGHT® Multi-Position™ MRI. The Stand-Up® MRI is the only MRI scanner that allows patients to be scanned with the patient in any position, including standing, sitting, bending or lying down. As a result of its unique ability to scan patients in weight-bearing positions the Stand-Up® MRI has detected problems that would have gone undetected on conventional lie-down scanners. The Stand-Up® is the only true Open MRI. Patients typically sit and watch a big-screen TV throughout their scans. Claustrophobic reactions are nearly non-existent.